This innovative card game prompts kids to tell stories based on the pictures depicted on the cards. This deck has a fun robot theme -- the possibilities for intergalactic tales is endless! There are many developmental benefits to storytelling. Storytelling helps kids communicate their thoughts and feelings, while processing information they are learning about their world. It helps them understand and empathize with people unlike themselves. And it helps them hone their planning and sequencing skills. 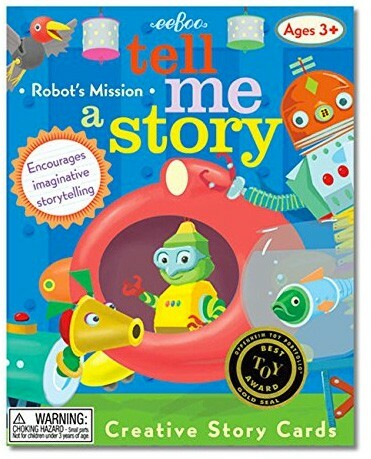 Storytelling isn't just fun for kids; it boosts creativity, communication skills, and literacy. These enchanting picture cards inspire kids to concoct silly, suspenseful, and remarkable tales. 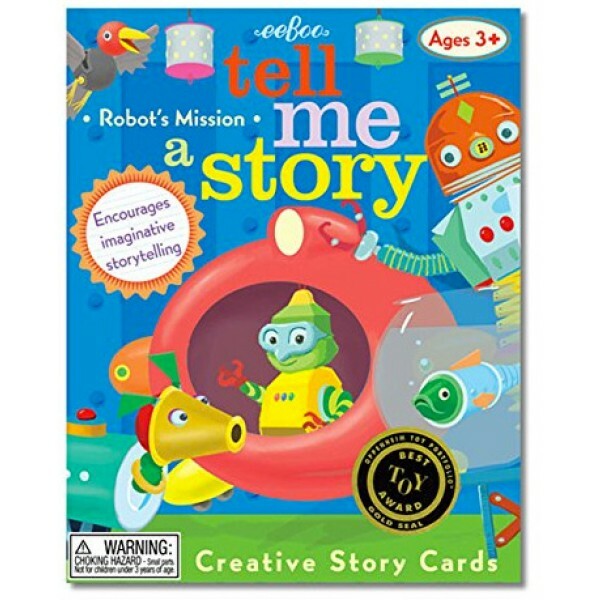 Each set includes 36 sturdy, laminated story cards, plus suggested activities. (Children can use them individually, parents can use them, or play groups can build stories together.) Great travel toy, too. Winner of the Oppenheim Toy Portfolio Best Toy Gold Award.